This is a letter that was fired into City Hall last week by a concerned citizen. It has been confirmed that during this hard economic time when the City is crying broke and that it has no funds that it has to layoff employees (106 + to be exact). The Assistant City Manager, Keven Klopp, decided an Extreme Makeover of his office was in order. 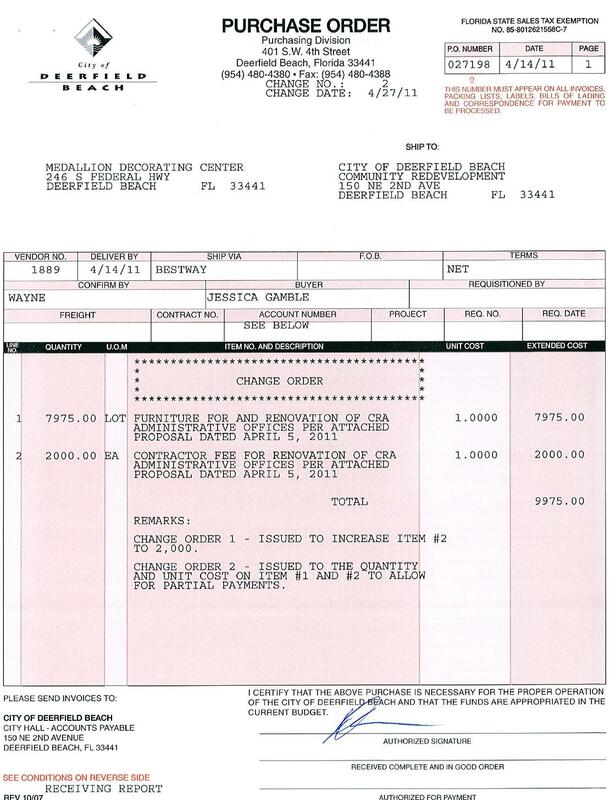 Which the result of which cost the the taxpayers about $10,000.00. Good seeing you the other day. I have a complaint. As city manager, we the residents expect sound and responsible oversight of our money. Not your money our money. As you know I had the opportunity to see the recently remodeled office of Kevin Klopp. 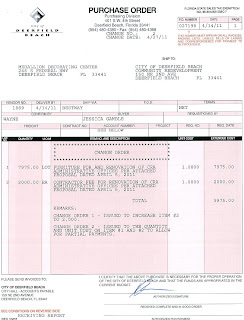 I cannot believe and not only find in corrupt but outright negligent for you all during these difficult economic times to spend nearly $9,975 on what you all deem as a remodel. $3,300 for painting that tiny little office and the shelves. Most houses in the Cove would cost only $1000 - $1500 to paint the whole exterior. 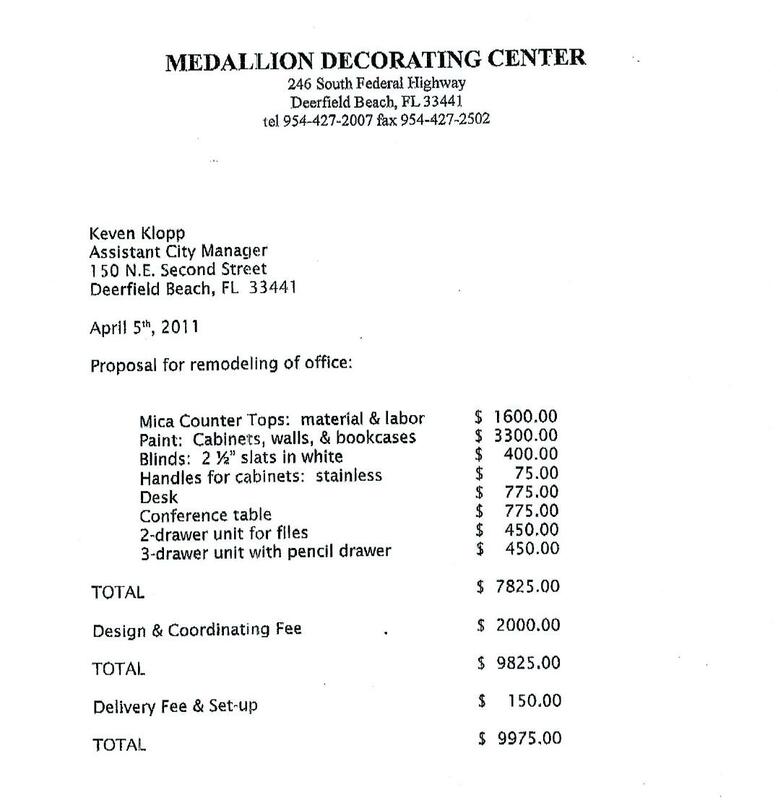 And then to give the so called decorator $2,000 for buying a desk, table and two filing cabinets. Why could you not get one of our maintenance people to paint this office? What does this tell me? 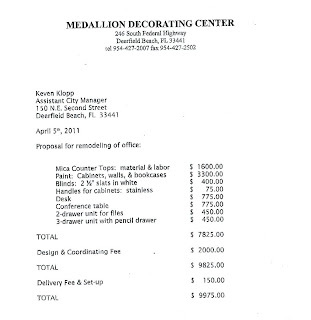 Further Jessica Gamble does not work for Medallion, but of course she did for this job. Would like to file this complaint with the state. This is outrageous.